This is my last post for 2015! Tomorrow will be the first Blog Hop of 2016! While this card is not your typical Happy New's Years greeting, the sentiment is still true. Don't stop playing in 2016, play with new things, play with new tools, play with new stamps, learn a new game, learn a new technique. Continuing to play and to learn helps to keep your brain young! When I first read the directions for the Cut Border technique, I thought of these froggie stamps. I stamped them near the edge of my card stock. I colored the froggies with my Copic Markers. The verse is from Stamper's Anonymous. I punched holes for the brads. Then put the ribbon in the middle of the brad prongs, and pushed the prongs in the punched hole. That created the gathers in ribbon. Fun, isn't it? Continue to learn, continue to play, and continue to share. Have fun and enjoy 2016. I hope your 2016 year is full of great blessings for each of you. Even if sad things happen (and they probably will) look for the good even in the sad occurrences of life. I have had to learn to do this. Blessings on each of you! Labels: Copic markers, Cut Borders, splatter technique, Sponging, Stampers Anonymous, Stampin' Up! When Smooch Paints first came out I was asked to demonstrate how to use them at a stamp convention. I had to do a lot of experimenting with them and find out how they would work on different types of paper - both glossy and matte. In that process I learned quite a bit about them. 4. You can use Smooch paints on matte and glossy card stock, acetate, and metal. 5. However, because are a "paint" they do not dry quickly on acetate or metal. Thin coats will dry the best. You can apply a thin coat and let it dry or use a heat tool to dry it. Then apply another thin coat and let it dry. If you use too many coats or apply it thickly on acetate or metal it will not dry well. 6. When you mix Smooch paints with water the pigment in the paint separates. However, it is an interesting look. But if you wanted the color to remain the same and just be less opaque you will be disappointed. 7. You can apply Smooch paints directly to rubber and then stamp. However, you must clean your stamp immediately or it will dry on the stamp and be very difficult to remove. I saw Pat Huntoon at that stamp show and she asked me to write tutorials using these versatile products. So somewhere in the archives of of the Technique Junkie newsletters are several tutorials using these products. Some were written by me and some by other folks. Applying the Smooch paint directly to rubber is the technique I used to create this card. The rose is from Inkadinkadoo. The other stamps are from Stampin' Up!. 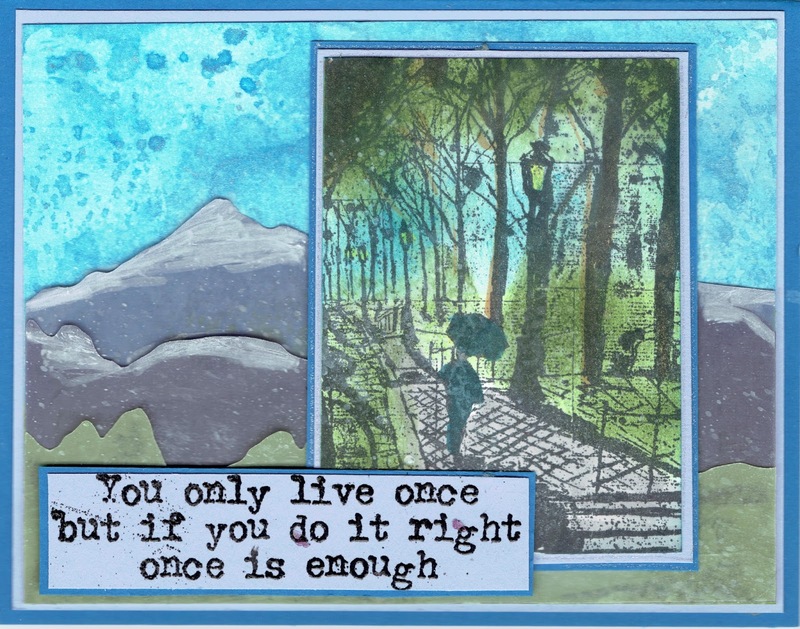 You have to sort of think in reverse when you apply inks or paint to a rubber stamp in order to stamp the image you wish to have. Whatever ink you have on the top of the stamp is what is going to show. So I painted the rose with a red Smooch paint, and then I applied the green paints (I used two colors) to the stem and the leaves. I quickly "huffed" on the ink and stamped the image on black glossy card stock. I did the same thing again and stamped the rose a second time. Then I trimmed and mounted it on layers of card stock. I used a large background stamp and inked it with an Opalite ink pad on matte black card stock. I applied Smooch paints in two thin layers of color to the metal buckle. Because the brush tip is really a type of flexible silicone and not bristles, you have excellent control over where the ink will be applied. 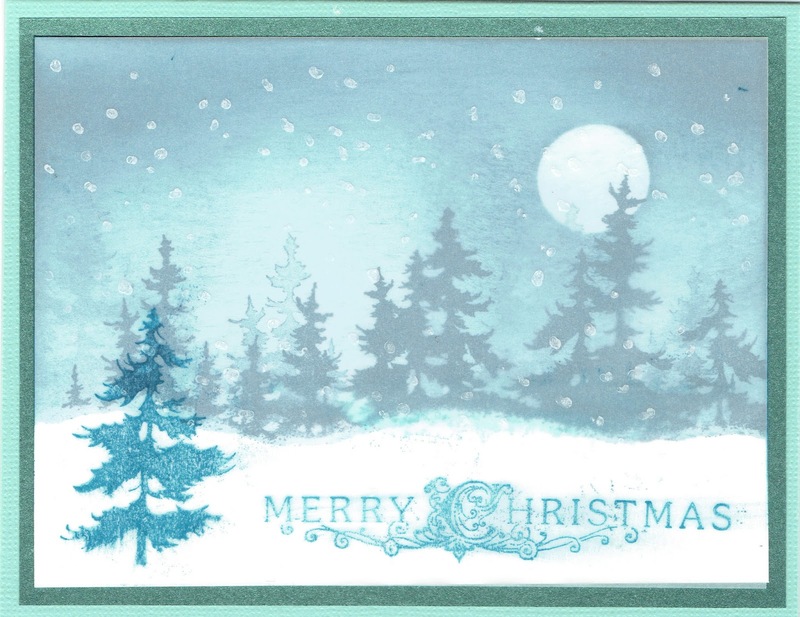 Then I stamped and punched out a greeting and layered it with another punched out piece of card stock. I applied the ribbon and metal buckle embellishment -- and Ta-Da! I am done. This would be a lovely wedding card or a move to new job, or a move to another part of our country, and so on. You could change the stamped greeting to Happy Birthday, etc. 2016 will quickly be here. The Technique Junkie Design Team is working on new cards with the new stamps! 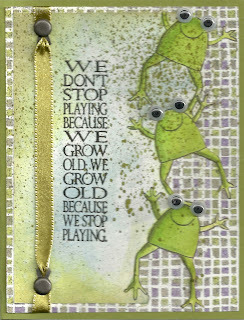 January 1 we will have a Blog Hop showing off the new stamps! But for now, I am sharing a few of my favorite works of art from times past! 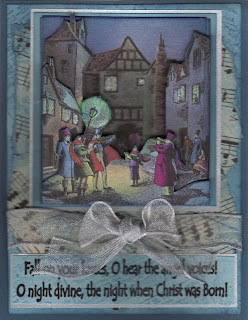 This card was created with the Watercolor Reinkers technique! 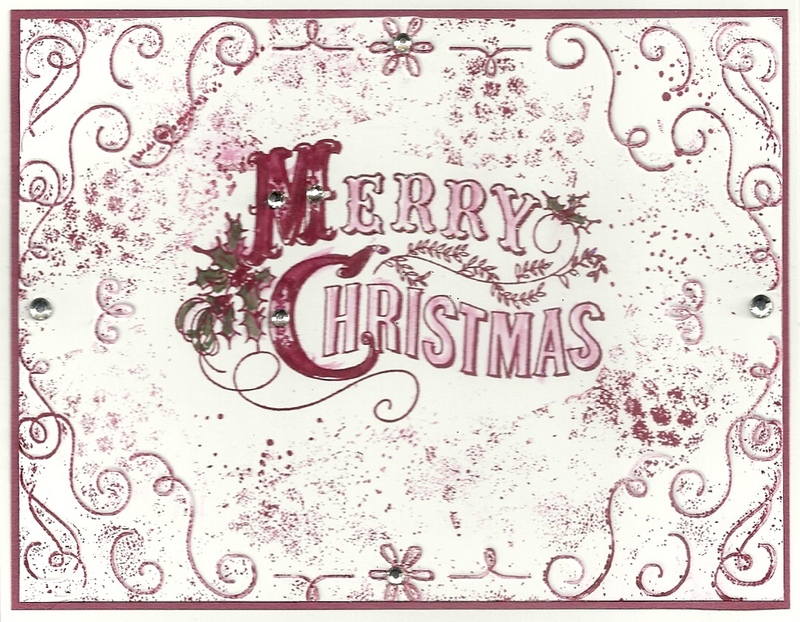 I used stamps from Rogue Redhead stamps, Impression Obsession stamps, and from Too Much Fun rubber stamps. It is a fun technique creating a unique canvas on which to stamp an image. I found in using this technique that I couldn't decide what stamp to use until the paper had dried. Then I let the colors and pattern within the colors "speak" to me about which image I should use. One of the things I have always enjoyed about the Technique Junkie newsletter and CDs is the huge variety of techniques available in one place. I enjoy learning new techniques to utilize the materials I have in a better way, and of course to learn about new products that I now have to have! Have a wonderfully inky day! What you learned new in the stamping world? This will be very final Christmas card to share with you for 2015. This card also is symbolic of my faith. Even as a toddler, the young Jesus had the shadow of the Cross in His future. This scene is so easy for me to imagine. Joseph was a carpenter and I am sure there were many times the young child was in the carpenter shop with Joseph. My son-in-law is a carpenter by trade. He doesn't just do this at work, he works in the garage at home. Often his three children play out in the garage while he works on whatever project he is working on. I used a photo stamp that I have had in my collection for many years. But since I unmounted it, and forgot to write down which company produced this stamp I no longer know that information. The verse is from Stampin' Up. To get a good stamped image from a detailed photo stamp, there are a few steps. First of use dye ink. Lay your stamp down with the image up. Use a rubber brayer and thoroughly brayer ink over the the die image in BOTH directions. This assures good coverage. Use glossy card stock - but not photo paper. If you try this with photo paper, it will be a mess. Lay your glossy card stock over the image which is still face up. Gently but firmly put one hand in the middle of the of the back of the card stock. This helps to keep the image from moving around, Gently but firmly rub your fingers over all of the image. Let it sit for a few seconds, and then gently pull up the card stock off of the stamp die. Let it air dry. Remember that dye ink on glossy card stock takes several minutes to dry completely. 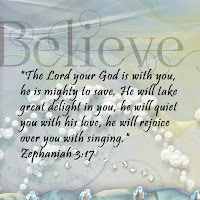 "Thanks be to God for His inexpressible gift!" 2 Corinthians 9:15. May you know the presence of the Risen Savior this Christmas season. The technique for today is Deconstructed Collage. It is just about as it sounds in the name of the technique. You basically deconstruct a collage image. It is fun to do but very tedious! The image came from Twisted Papers. 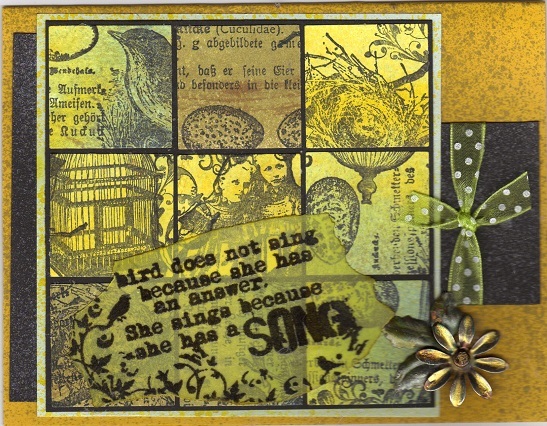 Iused stamps from Our Daily Bread and Impression Obsession. I finally sent this Christmas card this year to my sister-in-law and she loved it! Enjoy this Christmas holiday with your family! During these couple of weeks in December, I am sharing cards from various card I created using Technique Junkie techniques but not the the TJ stamps. 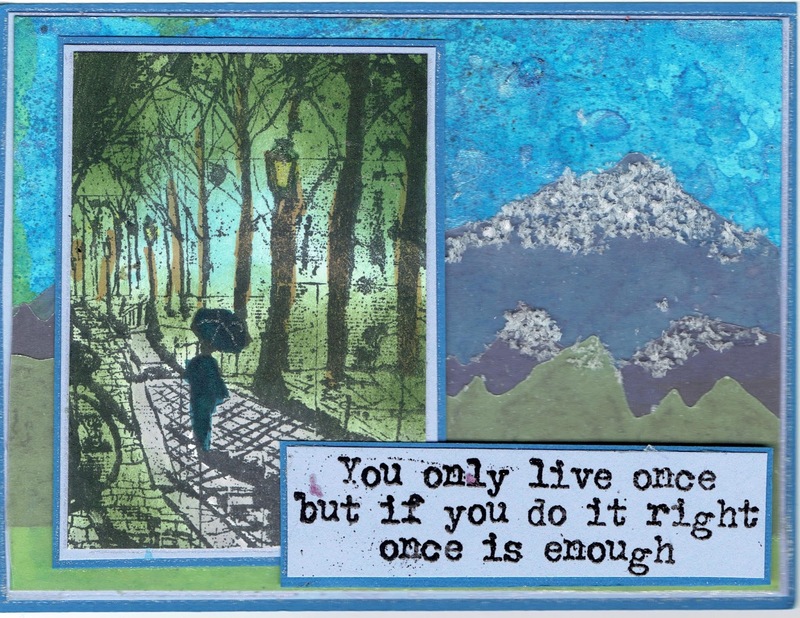 I am going back and finding cards I created several years ago. You may or may not have seen these before! The card I am sharing today using two Technique Junkie techniques - Pulled Glimmers and By the Inch. The stamps I used are all from Artistic Outpost. 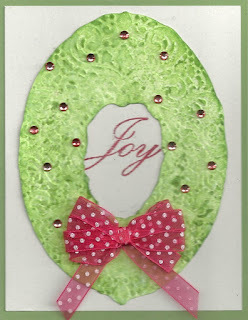 I used a lot of Distress Inks and glimmer spray made from Perfect Pearls and water. 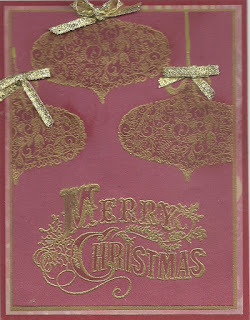 The verse is stamped on colored vellum. I hope you enjoy these cards in these visits down Memory Lane. Have a wonderful Christmas -- however you celebrate! Nearly every woman knows that the right shoes can "make" the outfit! I don't know many women who (even as we grow older and older) do not want their shoes to meet 2 basic qualifications: comfort and style. These two characteristics bounce back and forth in importance depending on how and when we will wear a particular pair of shoes. But no matter what the occasion or purpose for our shoes, women still want comfort and style in our shoes. Even the women I know who would be classified as "senior citizen" want their shoes to be stylish and/or cute. So we love our shoes. I always had more shoes than my husband did. And he had more shoes than most men. But retirement has brought about different needs for different styles of shoes than when I was working. But style and comfort are still important. So I just love this Technique Junkie November Release stamp Love My Shoes! http://techniquejunkies.com/love-my-shoes/. I also used the November Release Technique Junkie stamp Celebrate in Style http://techniquejunkies.com/celebrate-in-style/. Don't they go together perfectly? I used the Antique Glimmers technique for the background and then stamp the shoe randomly over the background. I inked up the shoe in a pigment ink (and the sentiment) and covered both with clear embossing powder and heat embossed them both. I used dye based markers to water color the shoe and added a few rhinestones for bling. I layered the shoe on a vellum overlay to add a little more depth. I ran the shoe through my Xyron machine so I knew it would stick down very well. 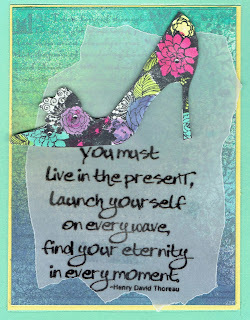 I punched out the sentiment and layered it on another punched out piece of bright pink card stock. For the second card, I used the same Technique Junkie shoe stamp,heat embossed it with clear embossing powder, and color it in with Copic markers. 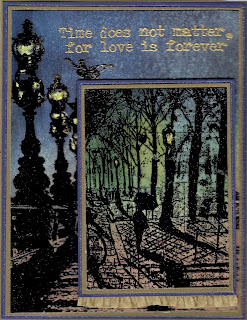 For the background panel I stamped the Technique stamp Love Fulfilled http://techniquejunkies.com/love-fulfilled/. 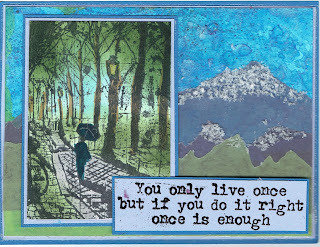 I stamped it on a white piece of card stock and then spayed it with Art Anthology Colorations Sprays. http://techniquejunkies.com/techniques-and-tutorials/products-and-accessories/?sort=featured&page=3. I stamped the sentiment Live in the Present http://techniquejunkies.com/live-in-the-present/ on a piece of vellum and then tore the vellum to add interst. I placed it on the background panel placing the adhesive under the shoes. The shoe is popped up with foam tape that I could easily cut to fit correctly. Both of these shoe cards are very different and very unique in how I used the stamp.Do you have a favoite. I hope your fingers are getting inky! I am in this phase of waiting now. 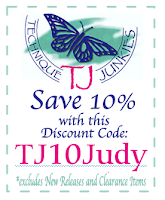 I have now received new Technique Junkie stamps and will start working on them today. 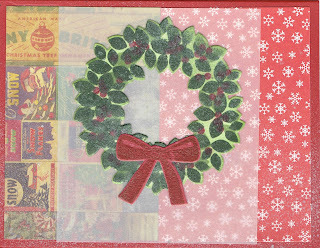 But I cannot show you anything "new" with the new stamps until January 1 which will be a blog hop day. 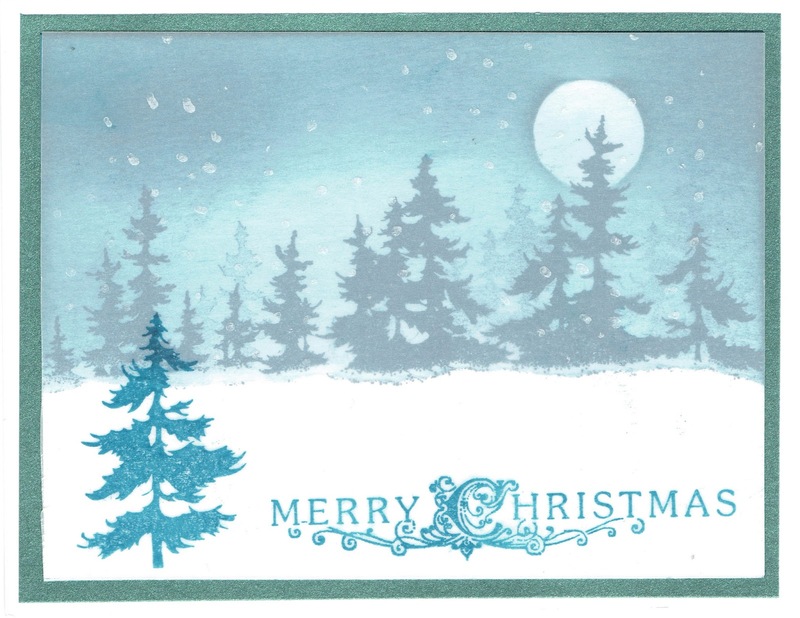 I am finished making any Christmas cards for 2015. So I though for the next two weeks I will show you some cards I made years ago for the Technique Junkie newsletter. If you had been a subscriber for many, many years you may remember some of these. I will be showing you for the next couple of weeks some of my favorite cards I created for the Technique Junkie newsletter. The technique was called Smooched Metal. I used stamps from Stamper Anonymous and Inkadinkadoo. As a rubber stamper I have learned to appreciate the various qualities of many inks. Not all inks are created equal. Distress Inks are a unique kind of dye based inks and they are really fun to work with. The metal tag near the top is where I used the Smooched Metal technique. I used the Brick Texture Fades embossing folder and that is where I used the Worn Wallpaper technique. 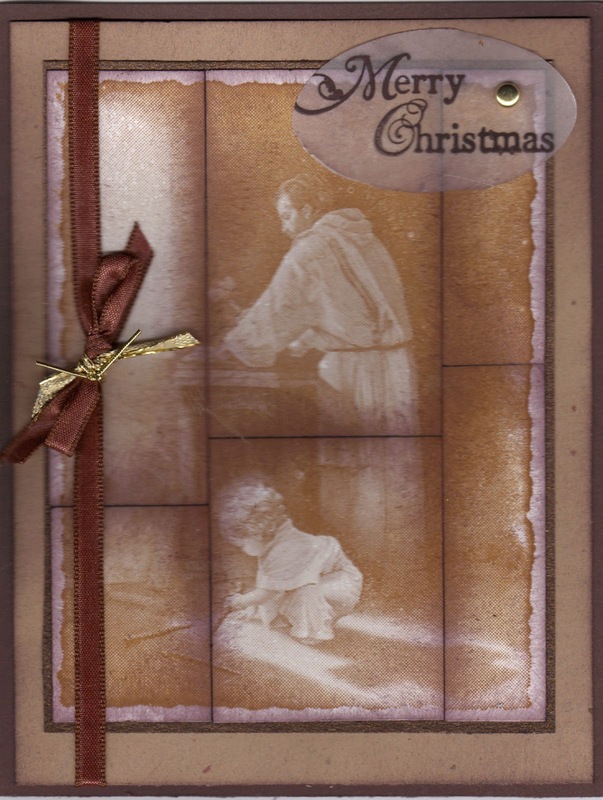 I added some filmstrip acetate strip, a vintage photo, a ticket piece, Tissue Tape, various ribbons, and a chip board button from my stash to add different elements to the card. This card is larger than most cards I have created. It will likely be a "one-of-a-kind" card. It was certainly fun to make! If you are a fellow stamper, then you are probably like me in several ways. You like paper, and you have a lot of it. You like ribbon, and you probably have a lot of it. You like embellishments, and you have a lot of them. And you like (or love!) stamps, and you have a lot of them, you follow blogs -- blogs of friends, blogs of folks you have never met and probably will not ever meet, you follow stamp company blogs, and you have a Pinterest account to get ideas for your cards. I admit to all of the above. And I do follow blogs - and there are quite a few, I not only look through Pinterest for card ideas - I have a Pinterest account. 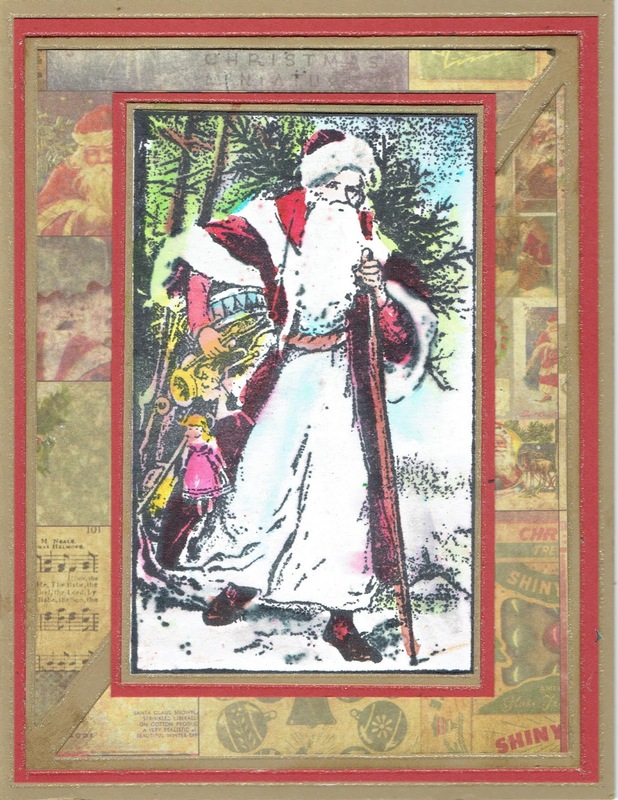 I get ideas for cards from many places - doctor's offices, bookstores, grocery stores, bill boards, magazines, clothing, Pinterest, Splitcoast Stampers, and from blogs of other people. Some blogs are written by demonstrators for various companies, and some blogs are written by ordinary folks who just love to stamp. While I own a lot of stamps, I do not own all of the stamps available on the market. Therefore I seldom have the exact same stamp(s) that a blog author will use. But I get card ideas from the layouts or the design of the card. Th card I will show you today is the result of a card I saw on a blog. 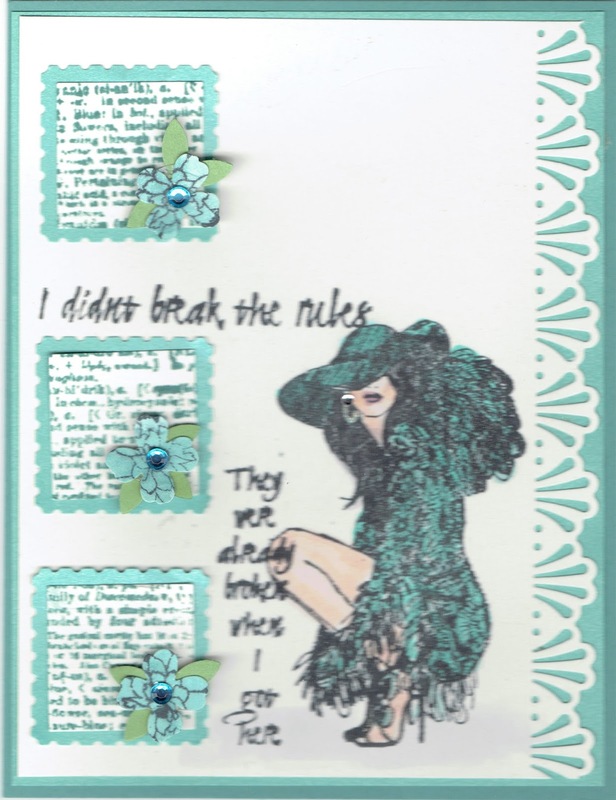 I am not telling you the name of the blog author -- because I did not CASE the card -- I only was inspired by the lay out. 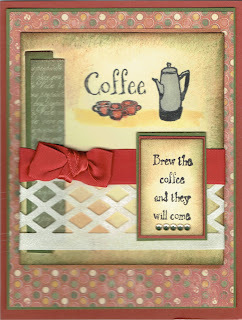 I used stamps from the Technique Junkie Stamps Coffee Quotes set http://techniquejunkies.com/coffee-quotes/ to make my card. It is a Technique Stamp set. The coffee pot and the cups were all colored in Copic markers. I know plenty of people who believe in drinking coffee -- and lots of it! I am sure all of you fellow paper crafters will all know and understand when I say when you get a new tool that you saw used for a neat card, then you want to use it almost as soon as you get it! That us what happened to me. I got both the Nativity die and the words die last February. I wasn't inspired for a Christmas card then. 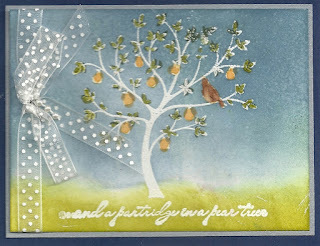 But when I got the new embossing folder in a recent Stampin' Up order, I wanted to use it right away. Even though I had already sent out most of my Christmas cards, I still wanted to use that folder! I knew that this folder needed to be used to make a slightly larger card than a standard A-2 card. So I measured and used a piece of red card stock the complete size of the folder. The embossing design goes right to the edge of the folder. 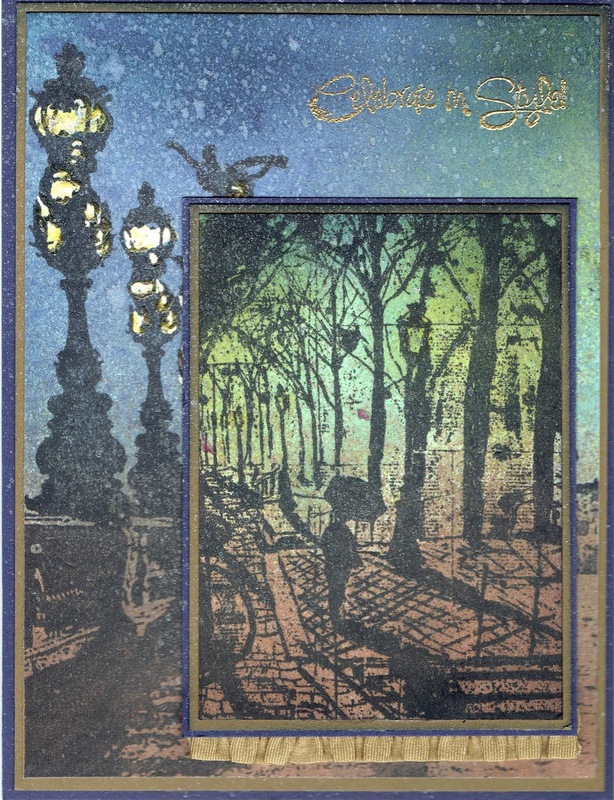 The middle of the embossing folder is empty and I wanted to layer a panel over the top to cover the empty space. 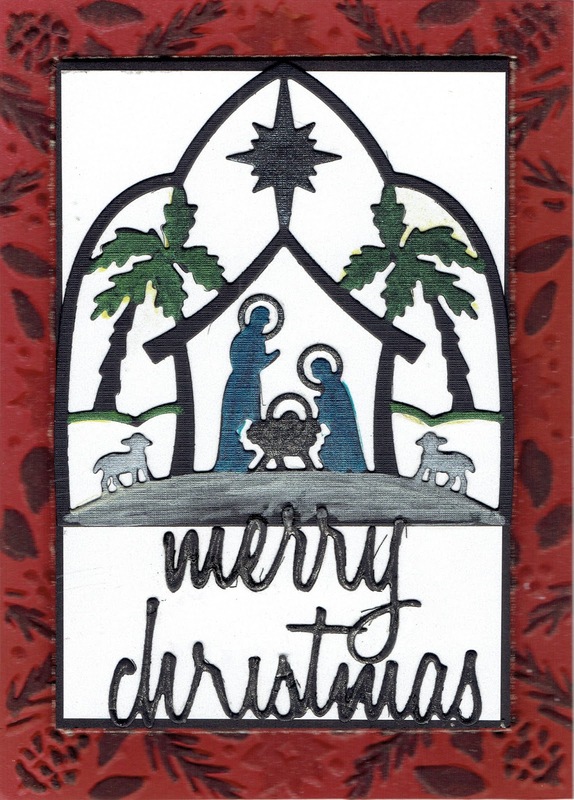 I cut the Nativity die out of black card stock. I layered the die cut on Whisper White card stock. That left space for a greeting. I used a die cut of two words from the die set from Tim Holtz featuring holiday words. I used a Stardust Gel Pen over the words to add some shimmer. 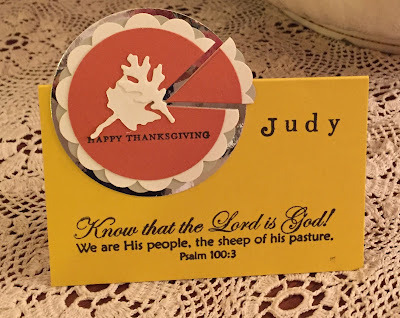 The Nativity die is from Cottage Cutz. I used several colors of Smooch paints on the black card stock for the Nativity scene to add some color to some of the features. Are you looking forward to Christmas Day? I know I am. It is always fun to see the excitement of little ones at Christmas time! 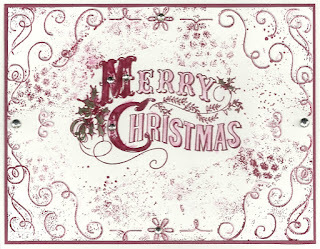 Have a wonderful Christmas. May you all know the Lord's blessing on your life! 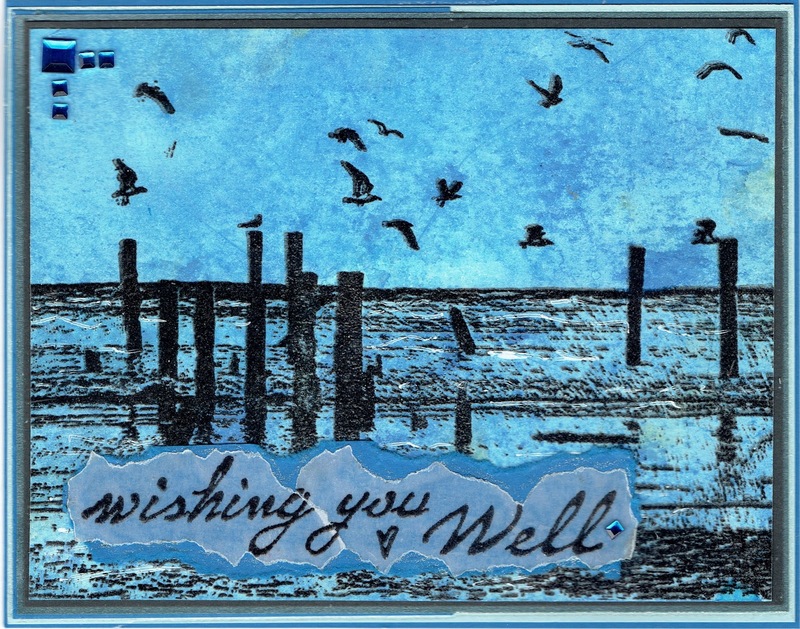 I have another lovely card with the Old Pier Technique Junkie Stamp http://techniquejunkies.com/old-pier/. I think it is a beautiful stamp and could be used for many occasions. 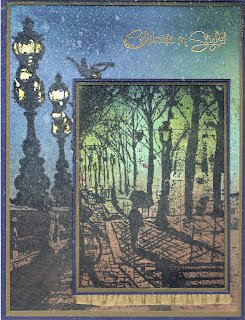 The background panel started with a white piece of card stock and then -- of course - Iused the Antique Glimmers technique, I used three shades of blue and a purple. I wish the purple would have shown up a little more. I inked up the stamp with Versafine Black ink, then covered that ink with clear detail embossing powder, Then I used my heat gun and embossed it. 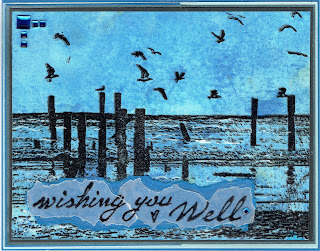 That made the details stand out more than just stamping with black ink.Then I used a Signo white gel pen and highlighted the waves in place all over the water. That really added a touch of realism to the scene. 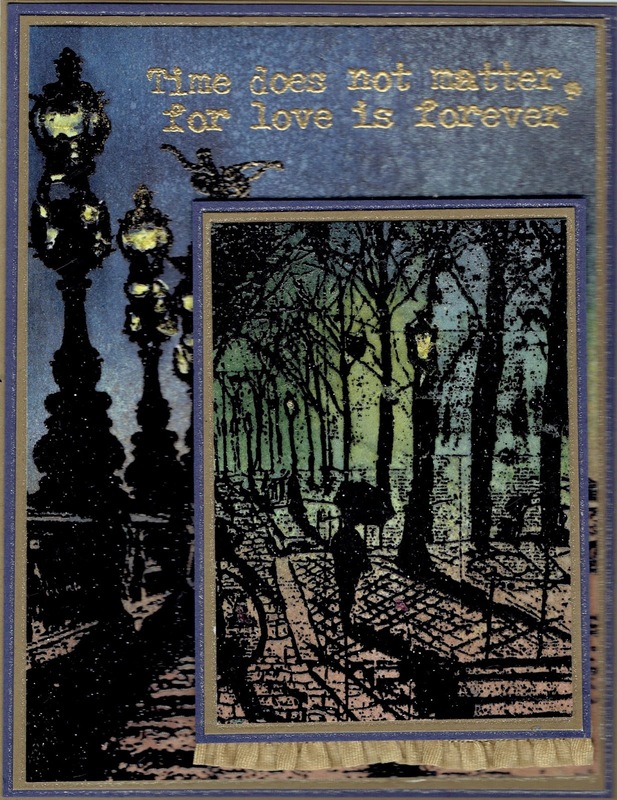 The sentiment comes from the Technique Junkie stamp set Sentimental Sayings http://techniquejunkies.com/sentimental-sayings/. 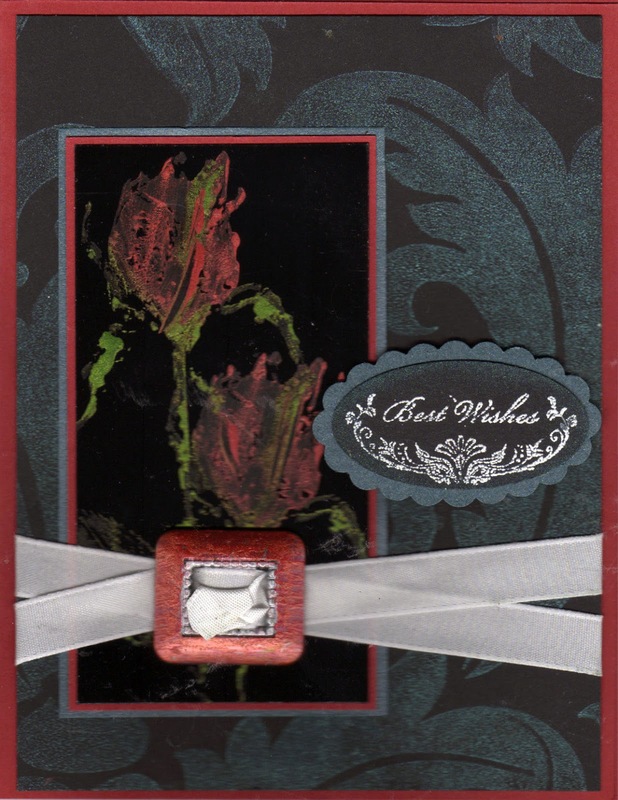 I stamped with Versafine black ink and heat embossed it as described above. I ran it through my Xyron machine and layered it on blue card stock. A few blue square rhinestones to embellish and it is done! I hope this day finds you well and eager to stamp! There are several things that are very important in life. For me my faith is the most important. Next would be family and followed closely after that would be friends -- especially friends you have had for a long, long time. Connection with family is important -- you have a shared familial history that is not shared with anyone else - even if that family history has some rocky memories. 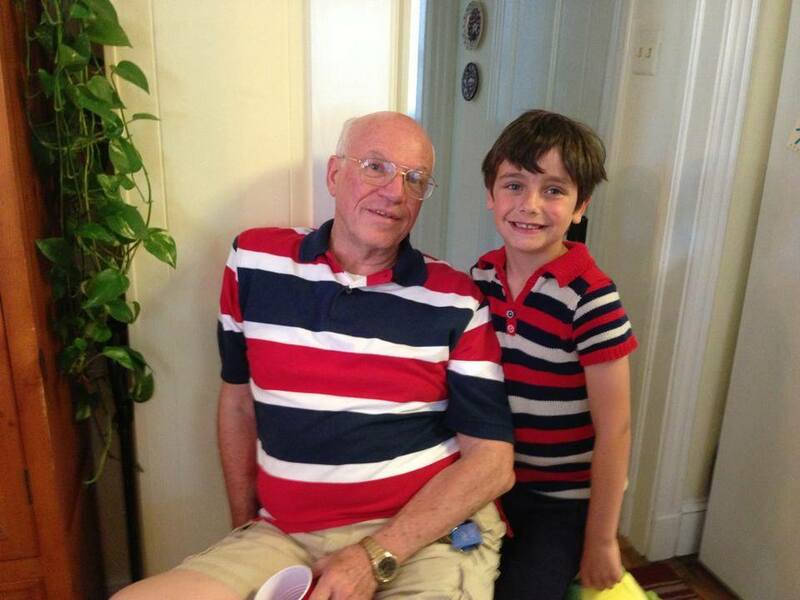 But old friends also have shared experiences that others may not know about or even understand. In times of struggles these shared experiences and love can be a very real help. 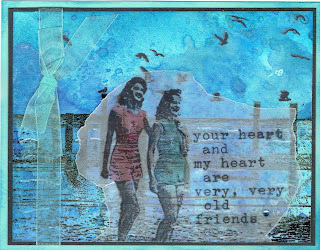 This sentiment on the Technique Junkie stamp Old Friends http://techniquejunkies.com/old-friends/ captures that emotion beautifully. Even if you only inked up the sentiment top stamp and not the ladies, this stamp is worth having in your collection. At least in my opinion. 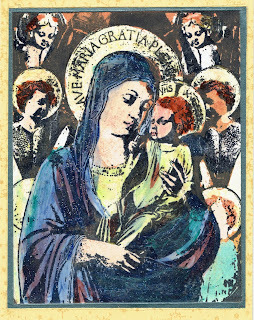 I stamped this image on vellum and colored it ink dye based markers. To create this card I used the Antique Glimmers technique on a white panel. Then I stamped the Technique Junkie stamp Old Pier http://techniquejunkies.com/old-pier/. I inked it with Memento Tuxedo back ink. 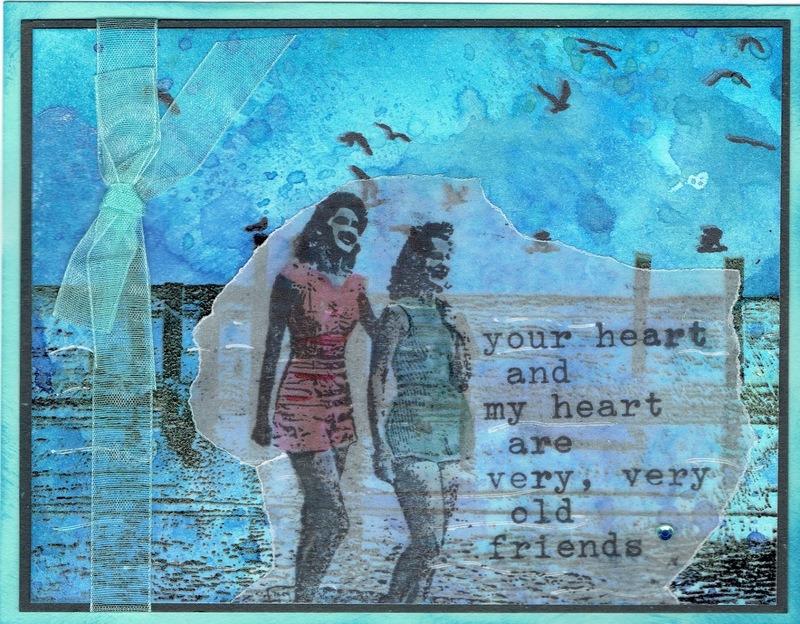 I tore the vellum around the stamped image of Old Friends, ran it through a Xyron adhesive machine and place it on the background panel. 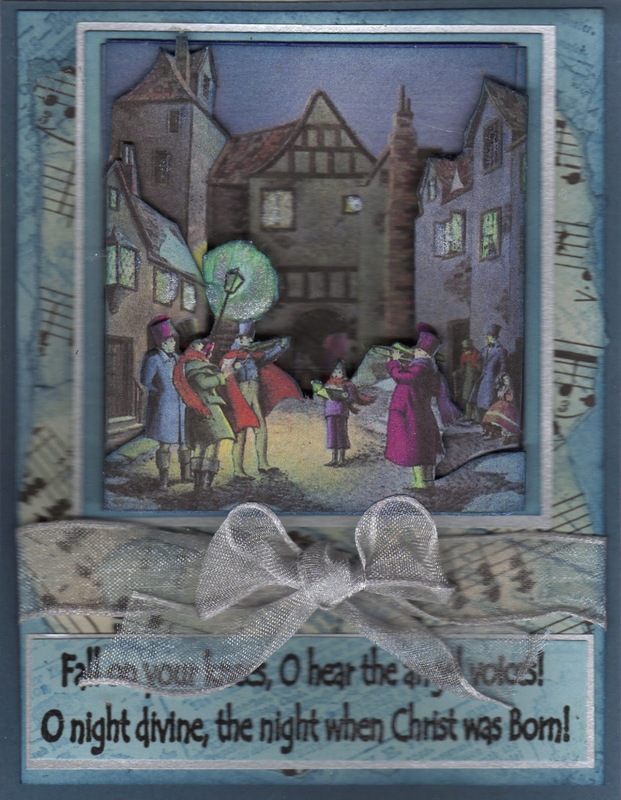 Then I layered it on black card stock, tied a shimmery blue ribbon around that panel and then adhered it to the base card. 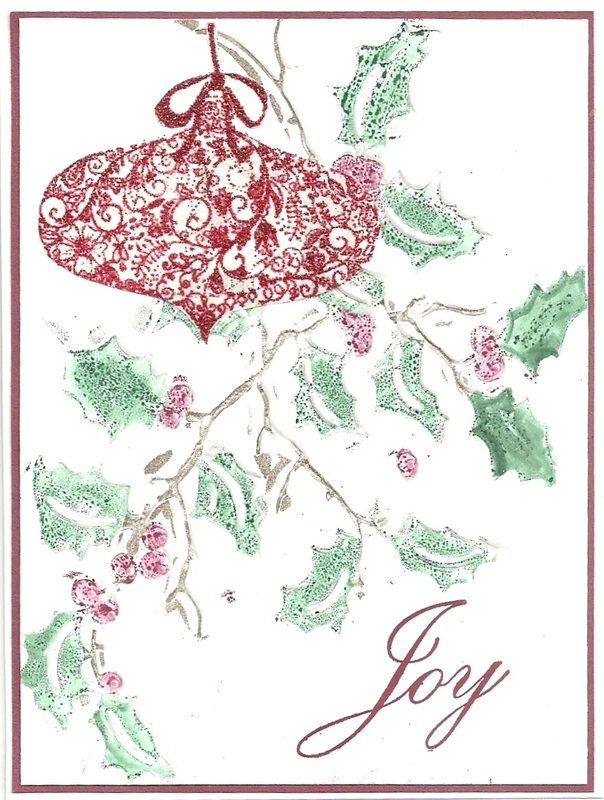 After a month of sharing Technique Junkie Christmas cards -- I am now going to share some Christmas cards made with other vendors. 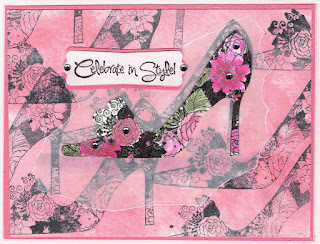 Todays card is a new set from Stampin' Up! I am not a demonstrator for Stampin' Up!-- just a happy customer. I adhered scraps of background paper cut to fit on the folded front panel. I stamped both the Nativity scene stamps and the verse with memento black ink. After it dried then I painted the scene. I stamped about 20 panels with this scene so I painted them all in production line fashion. The first things I did were to use Copic markers for all of the skin that showed. Then I used a metallic marker for all of the crowns and gifts. I painted all of the yellow robes first on each panel, then all of the purple portions, then all of the reds, and so on. That makes projects like this go faster because you do not have to clean your paint brush between each color on the picture. You only clean the color off once - when you have completed painting all of a particular color for all of the card panels. Trim and layer the panel to fit on each card. Be careful when adding the adhesive because you only put adhesive on the left side of layered panel. 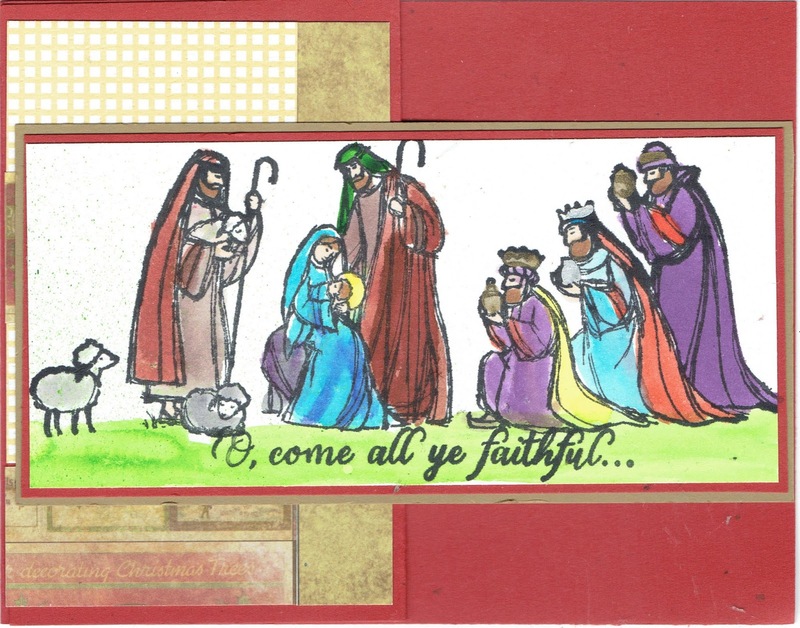 Choose an inside verse that will easily fit underneath the panel so it will not show when the card is closed. 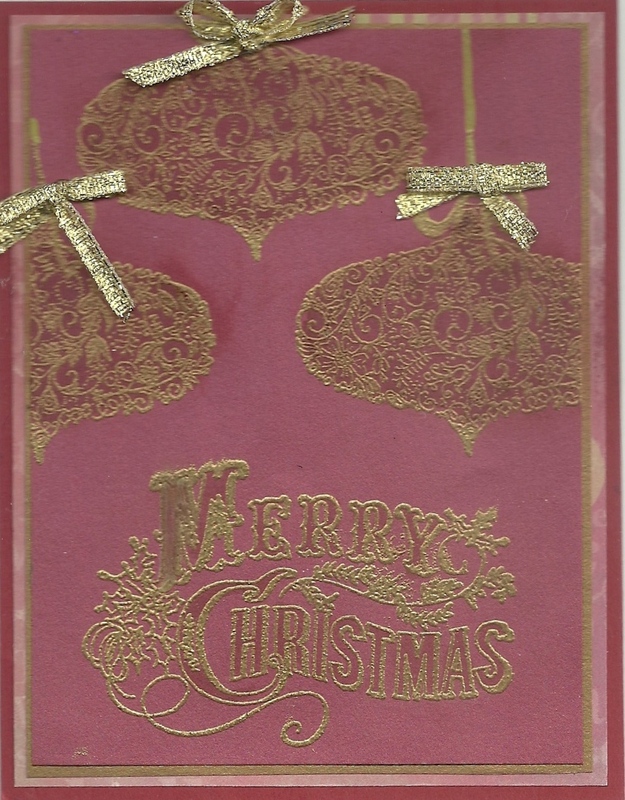 While I think the card is very nice -- it is all flat with no other embellishments so it will not need extra postage. That is a good thing at Christmas time - and it helps to hold down the mailing cost at Christmas time. Have a wonderful day and I hope you get inky! As a stamper, I subscribe to many blogs for inspiration. I do not always have the exact same stamps another stamper uses. Some times I do, but I will ALWAYS do something different to make the card my own. Several weeks ago, Patty Bennett used some stamps from a new Stampin' Up set. I did not have that set, nor did I have all of the exact same embellishments so I did it differently. I created two cards - one with a white base card and one with a blue-green base card. 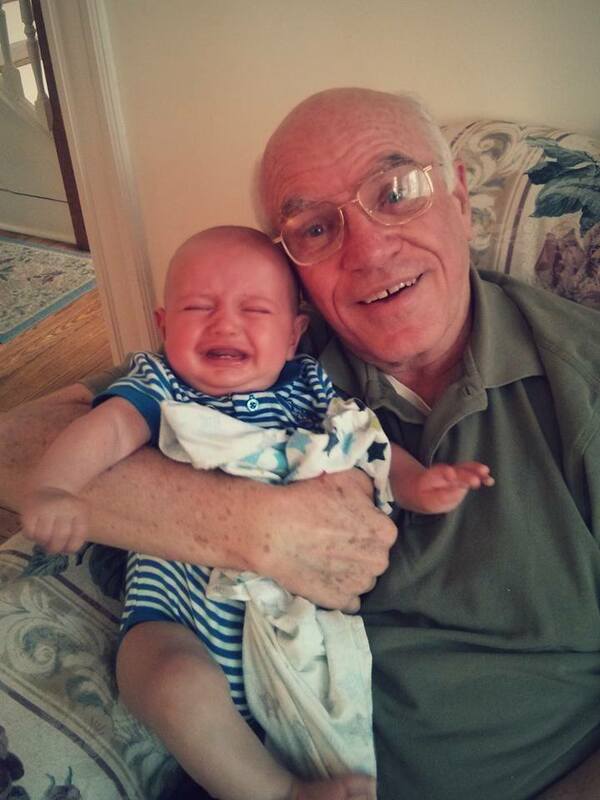 I am not sure which one I like best. First I used a 3/4 inch punch and punched out a moon stamping two post it notes together. One sheet is just too thin and will not punch well. Then I tore a very fine edge off of a 5 inch wide post it note so it would still stick for the mask. I placed the moon mask up in the sky, and the horizon post it note about 1 1/2 inches up from the bottom of the white panel. I used Island Indigo ink for every thing. I took a sponge and starting swiping the sponge back and forth over the sky, starting off of the paper and bringing the swiping down to the horizon line. I made the top of the skyline darker. Then I removed the moon mask. 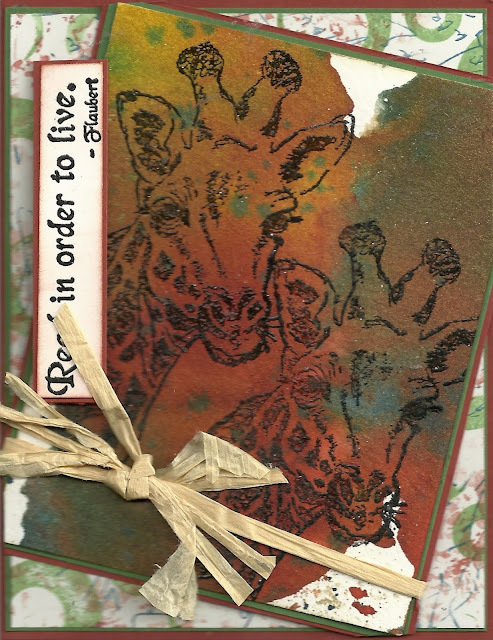 I used the taller version of the two long stamps in the new Tree Line - Tim Holtz and Stampers Anonymous. All of the trees came from this set. I inked up the trees and stamped over the horizon post it note. Then i removed the stamp and "huffed" on it to dampen the ink again and moved the stamp to a new position, and stamped again. That creates depth of field in the scene. Then I used a vellum piece that was exactly the same size at the stamped panel. 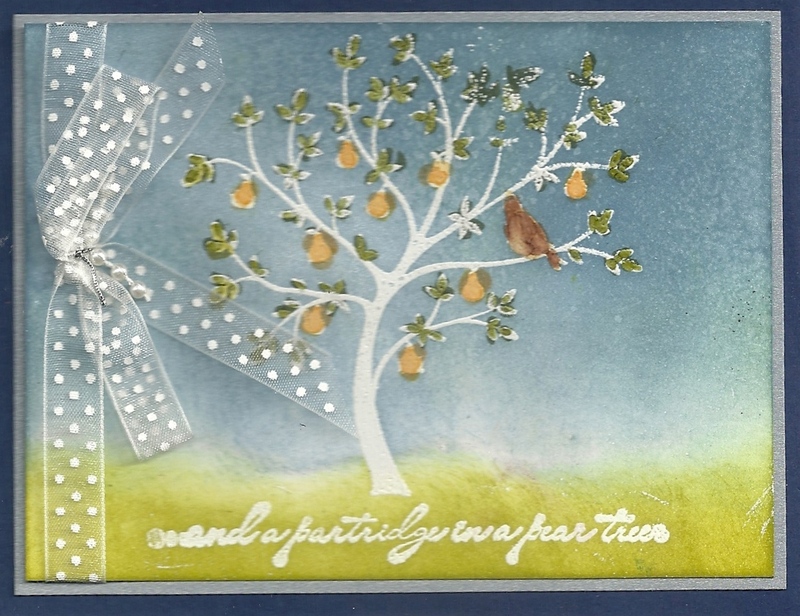 I positioned the tree and the sentiment (a retired stamp from Stampin' Up). I inked both stamps with Island Indigo ink and stamped it near the bottom of the vellum panel. Then I used a tiny random dot stamp (retired from Stampin' UP), inked it up with White Brilliance ink and stamped over all of the vellum. That helps to give the impression of snow falling. 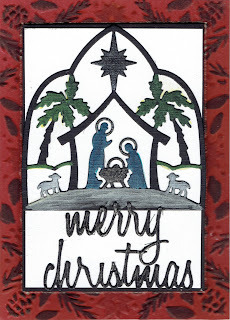 I used vellum adhesive on the back side under the tree and the "mas" in Christmas and adhered to the tree line panel. I layered that panel on a blue-green Star Dream text weight paper from Marco's or Paper Impressions. I then layered that panel on the base card. Which card do you like best -- the white base card or the blue-green base card? Have you finished making your Christmas cards yet? I hope to have them all mailed by the time you read this post!